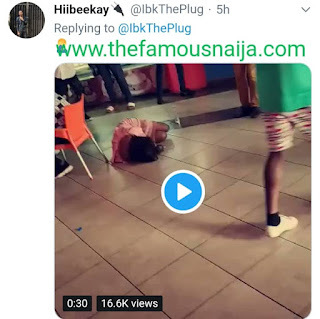 Man Proposed To His Girlfriend At Lagos Mall, She Said Yes, Then The Main Boyfriend Showed, This Happened. 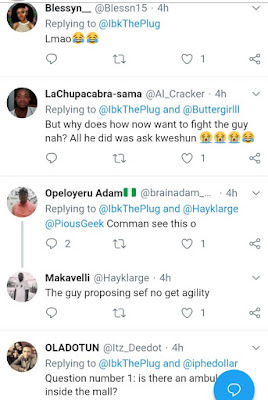 A young man allegedly proposed publicly to his girlfriend, without knowing he is actually the side guy. 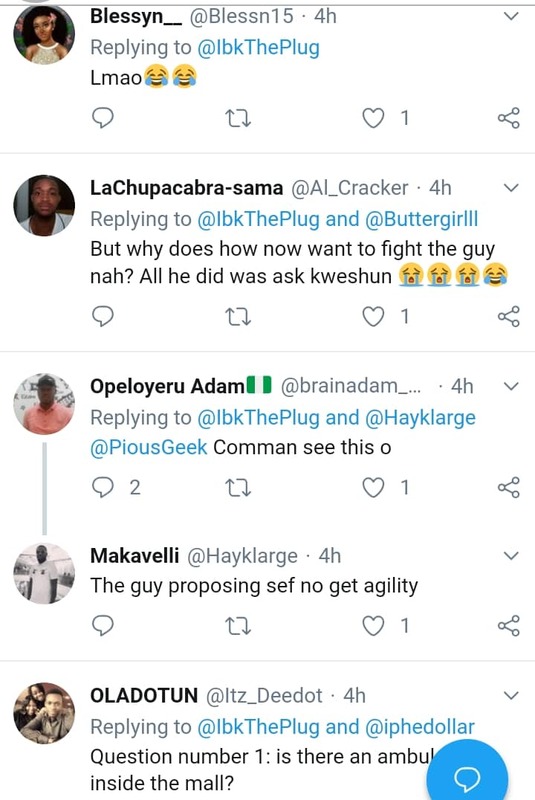 The young lady said YES to the marriage proposal but the main guy showed up and what happened next is something else. 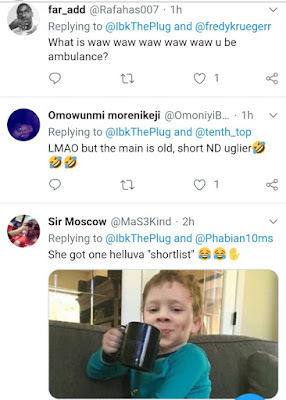 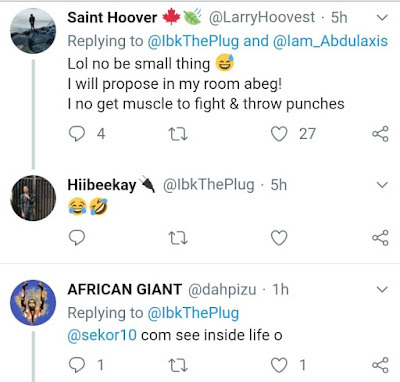 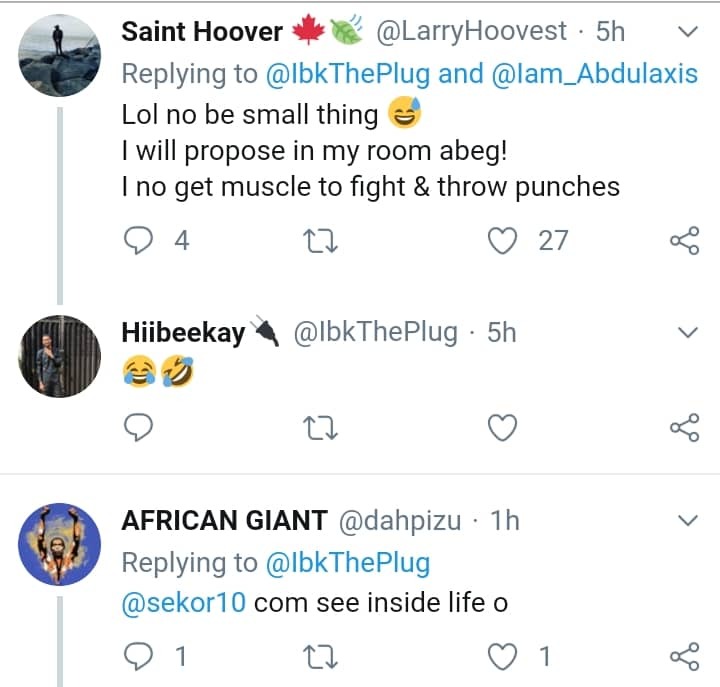 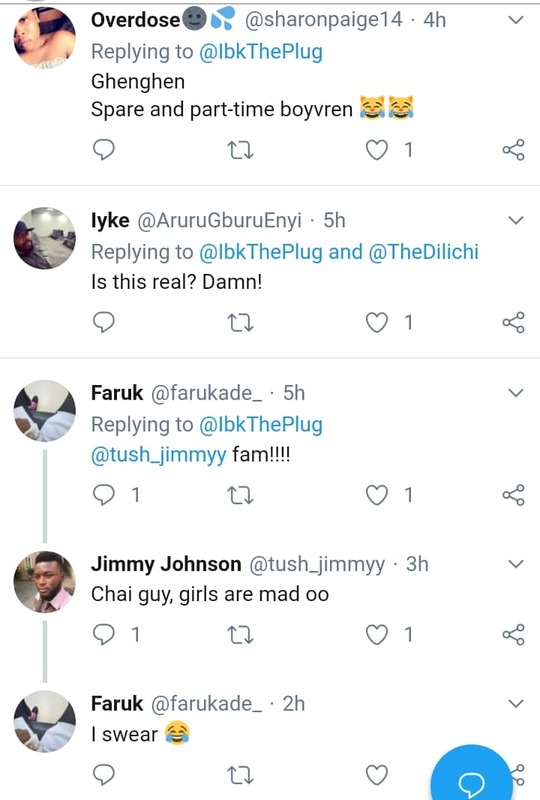 Hiibeekay, the Twitter user who shared the story and video said that it is not a movie shoot. He claims that it happened at the Surulere mall today. 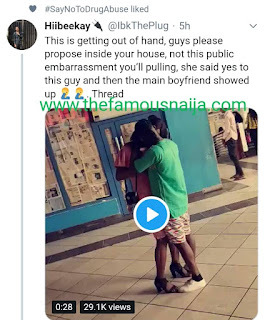 "This is getting out of hand, guys please propose inside your house, not this public embarrassment you’ll pulling, she said yes to this guy and then the main boyfriend showed up �‍♂️�‍♂️. 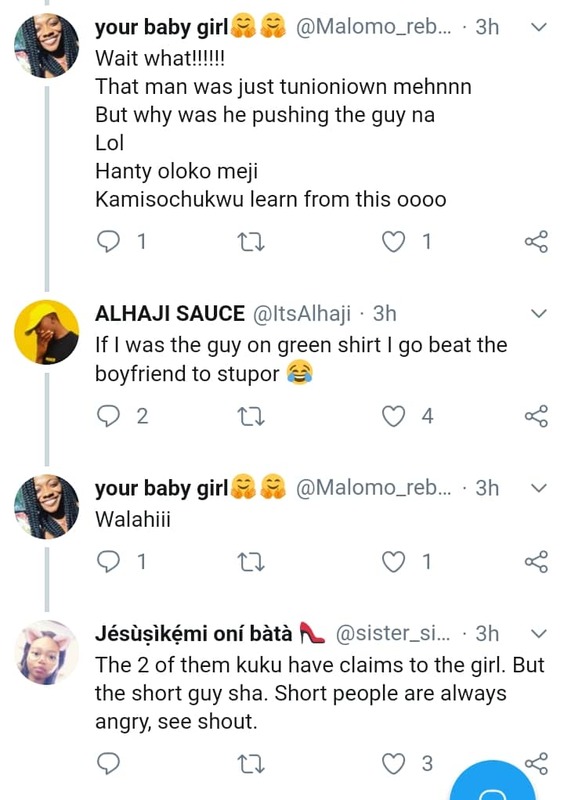 Thread"